These VERY long lasting fragrance wax melts are completely phthalate and nitro musk free, both of these chemicals have been linked to cancer. The wax is soy wax, so there is no petrochemical residue to aggravate respiratory conditions. 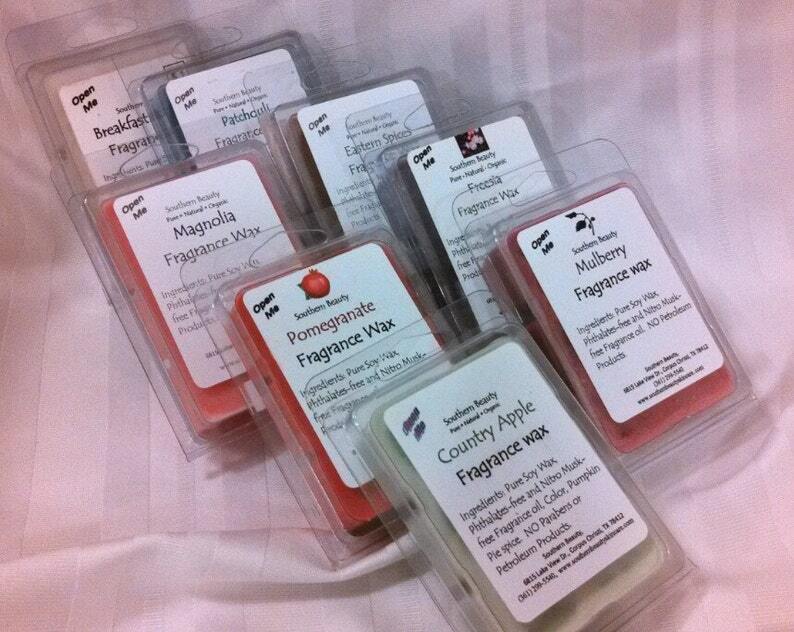 These waxes allow you to have a great smelling home without the worry of chemical overload. The Beeswax is made out of pure beeswax and coconut oil. Melted beeswax gives off negative ions which bind with dust, pollen and bacteria. They become weighted and fall to the floor, cleaning the air.